Yes, I was just as utterly shocked as you. The first time I heard the song I didn’t think it was that good to be quite frank with you. But that was before I knew it was Victor Oladipo singing. Apparently I have a soft spot of NBA artists because I now can’t stop listening to his soothing voice. It was uploaded 6 days ago and has 137k listens, half of which are from me alone. He goes by the name V.O. This is his only song he has on both his SoundCloud and Apple Music but I’m assuming he has other unreleased work or that he is working on a bigger project. He put the genus as R&B & Soul if we want to get specific. If I had to summarize the song, I would say that he wants to sing to this girl that he really likes and only to her. She probably isn’t that famous and might not think that she is famous enough to be with him. Oladipo references that when he says he’s acted out his life in front of 10,000 people but he just wants to be with her. But I’m not sure if she’s having it. 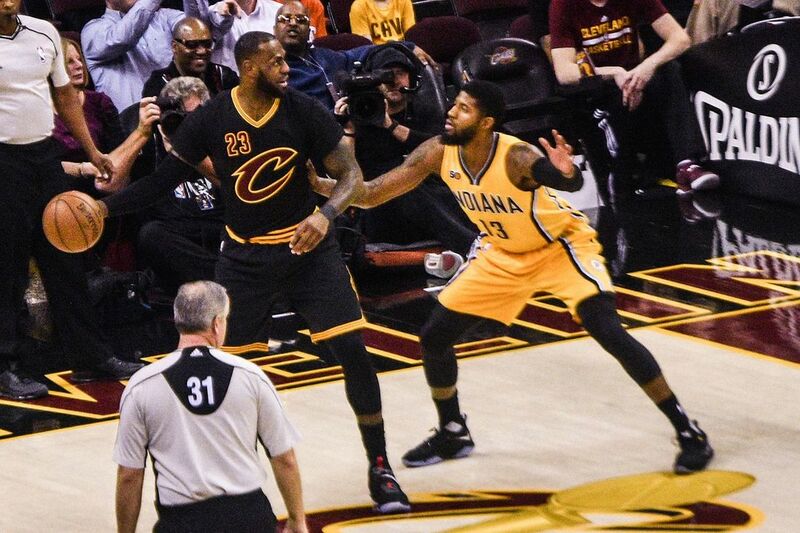 Too bad the Indiana Pacers still didn’t win the Paul George Trade. And Damian Lillard is still the best current NBA artist. Apparently Oladipo has an EP on the way. A month after most free agents have signed their deals the one who came out of college with a flat top has yet to do the same. The former Kentucky Wildcat, Philadelphia 76er, and for now former Dallas Maverick is still a free agent. Last week Noel fired his agent, opting to join Klutch Sports who represents clients such as LeBron James and Dejounte Murray. Today Noel turned down $17.5 million per year from the Mavericks. It sounds like Noel is holding out for a max deal, something he hasn’t really proven himself of yet. He more belongs in the category of the deals that Kent Bazemore got last summer, 4 years $80 million. The Mavs had made re-signing Noel a priority after trading for him before the deadline last season. I would personally like to see him go back to Philadelphia where he started his career, a place he would have a better chance to contending, a place where he could return to the nice young core of players he started after sliding on draft night because of a knee injury at Kentucky. The Pelicans selected Noel and traded him to the Sixers. Unbeknownst to Sixers fans at the time but this was the start of the famous “Process”. In other words, the Sixers tanking, drafting the best available prospect which was always a big guy and eventually becoming an attractive destination for free agents after acquiring enough young very talented players through the draft. Last season, Noel’s improved his scoring and rebounding per 36 minutes, but his blocks which he had become so famous for at Kentucky were down. Noel ranked 83rd in the league last season in rebounds and 20th in blocks per 36 minutes. Those don’t really scream out max contract. Nerlens Noel will be paid nicely during this up coming season, by who and where he will be playing remains to be seen. He will be 23 years young at the start of the 2017-2018 season, his best years are head of him, but he might have to wait until his third contract to get that max deal. Although it could be worse, he could be Anthony Bennett. It’s been almost two weeks since Christopher Paul was dealt to the Rockets in one of the most lopsided trades in terms of number players switching sides ever. The trade confused many as the Houston Rockets had seemed to have found a point guard in James Harden after switching him from shooting guard. Harden relished in the role, recording a career year in 2016-2017 under new coach Mike Mike D'Antoni. Bringing in another ball dominate point guard seemed odd. The Rockets now process two of the top seven players in terms of usage percentage. The only reasonable explanation for this is maybe to give Harden a rest at times as he slowed down during the playoffs. Teams won’t be able to key in on Harden as much, he can play off the ball at times now. Harden will finally have a true point guard on his team to get him the ball as he comes off those down screens similar to what the Warriors do with Steph Curry and Klay Thompson. Houston incorporates sabermetrics in to their playing style more than anybody else in the league, three pointers will be reigning down from every spot on the floor with this addition of Paul. The get his distributing abilities and his shooting abilities is sort of like having two James Harden point guards on your team. It just seems odd that’s all. Another thing that’s odd is how many players Houston gave up, and how many players they have on their roster now. The Rockets have about seven players on their roster right now who will actually get playing time this upcoming season. As opposed to the Clippers who have more then 20 players on their roster currently. New Clippers “General Manager” Jerry West needs to just dismiss Doc Rivers and his disobedient son. They seem to be a big part of the problem for the Clippers. It’s time for a new era of Clippers basketball, the Rivers family don’t need to be a part of that. But if they get rid of Austin Rivers will he still be able to get a job in the league? Jerry West should just bring in other former Laker Phil Jackson to coach, just kidding nobody wants to run the triangle. Now to continue with the players that were actually traded. The Clips have already replaced Paul, with two different players. This seems to be a Billy “Moneyball” Beane type of approach to things. They replaced Paul’s defense with Patrick Beverly and Paul’s lob city ability with Serbian sensation Milos Teodosic. Lou Williams goes back to LA; in fact, he seems to want to forget about Houston all together. He was a perfect fit for the Rockets twice the offense and no defense scheme but he now slides in to the Jamal Crawford sixth man spot that was recently vacated in his trade to the Hawks. Speaking of that trade I love Crawford because he’s a Seattle guy and he’s very genuine but he would have nights where he exploded or he would have nights where he was the worst player on the court. It was time for a change of scenery for him, maybe he single handedly brings back the Sonics? That trade included Diamond Stone as well, I thought he was supposed to be good? Maybe he should have stay in college awhile longer. Either way his name was as close to a ring the Clippers are ever going to get. Continuing with who the Clippers acquired, Sam Decker is the SF they’ve been looking for for a while. They finally fill that gapping hole they been trying to cover with the small washcloth that is Luc Mbah a Moute. In fact, the Clippers added another SF with Danilo Gallinari going back to the previously mentioned trade of Jamal Crawford in which Gallinari was included in. If the Clips want to keep Lou Will in that sixth man role they are probably going to have to start the man that took South Carolina to the Final Four this past March, rookie Sindarius Thornwell. If you like to throw lobs in 2k then new Clipper Montrezl Harrell is the guy for you. He hasn’t had much of a chance to shine in Houston but playing the backup role to Blake Griffin and DeAndre Jordan he should have many opportunities for dunks off Teodosic lobs. Finally, LA received Kyle Wiltjer, the stretch four who like Lou Will seemed to fit perfectly with the Rockets shoot a three-every time system. Wiltjer brings to the Clippers something they haven’t had in the Griffin and Jordan era, a true stretch four. The Clippers also received former Cleveland Cavilers great Deandre Liggins and Darrun Hilliard but I’m not concerned about them being factors for the Clips next season. James Harden and Chris Paul together is weird. The Rockets need to add depth. Clippers should get rid of the Rivers Family. Lob City is still in tact in Los Angeles. The Clippers might actually be better now? The Rockets over paid for Chris Paul. Neither of these teams are good enough to over take the Warriors so this is all irrelevant. Well to start the T-wolves could have kept Lauri Marrkanen who I am a big fan of. I am not much a fan of Gorgui Dieng just for no apparent reason really. The T-wolves no longer really have that young core that I so much loved. And they have been rumored to still be shopping Ricky Rubio so why trade Kris Dunn? The Bulls end up with some great guard talent. They can trade or buyout Wade and Rondo even though those dollar signs on their contracts are pretty large. Or they could keep them to try to make another run, but they don’t really have enough to compete with the Cavs so they might as well just let the young guys develop. With Markkanen the Bulls have another big who can spread the floor, which is undeniably where the game is heading. Denzel Valentine can slide in to Jimmy Butler's spot and there you go, a very formidable team. Minnesota just isn’t as exciting as they used to be without Zach LaVine and Dunn has much more potential than Rubio. Yeah Butler is reunited with Thibs but that’s not that big of a deal is it really? I guess it could make Butler actually happy to be somewhere. I’m jumping off the Timberwolves bang wagon with this move. Not quite jumping on the Bulls bandwagon though, I still think they are a couple moves away. I wouldn’t mind them keeping Rondo and Wade but I’m all for the young guys. Saying the Bulls will finish with a better record isn’t quite a fair assessment of this trade because the Timberwolves play in a much tougher conference but I’m still going to say it. Minnesota gives away three first round picks and you’re saying they won the trade? I’m going to agree with Danny Ainge on this one, Minnesota over paid and got worse. If Jimmy Butler’s voicemail box wasn’t full I would tell him he should’ve wanted to go to a more star studded team. Minnesota lost a lot of depth in this trade and didn’t get a big enough superstar to call them selves a contenting team. Chicago is now set up with great depth with great young players who can grow together. The Timberwolves still don’t have that go to scorer as I am not convinced Jimmy Butler is that guy. Maybe Minnesota has more faith in Tyus Jones than we thought. The Warriors have been the gold standard of the NBA for the past few years. Teams like the Cleveland Cavaliers have taken over the top spot for a time being, but that probably wouldn’t have happened if Draymond Green doesn’t get suspended for game 5 last year. With the Cavs second loss in the past three Finals they have been rumored to have interest in adding Paul George and Carmelo Anthony. The Cavs would receive Wade in this trade because the new look Bulls are backed up with young talent in the back count and Wade’s old body is in the way of their growth. The Cavs are all in for another Finals run. These trades could cost them in the long run but another title for The Land would be priceless. The players that the Cavs would be acquiring are somewhat getting up there in age so the window for this group of talented players they would be bringing in is pretty small. The funny thing would be if they have this new group of players come in, they don’t win a ring and then they ship those players out to bring in a new talented group. Another funny thing is that LeBron and George could end up in LA together if this whole thing doesn’t work out. The Cavs would probably have to give up the few picks they have left as well. If you’re thinking that the Bulls, Pacers or Knicks wouldn’t take this trade just hear me out on this one really quick. The Pacers get an experienced point guard to distribute to their young athletic bigs with Rondo. Then they get JR Smith as well, minutes were going to tough to come by for him in Cleveland with everything they are acquiring in this trade, the Cavs needed to dump some cash as well, and he gives Indiana some instant scoring in their backcourt since Rondo can’t shoot. We all know George is leaving in a year anyway so the Pacers might as well get something for him, they certainly get some picks in this trade as well. The Knickerbockers receive Iman Shumpert and the electrifying Kay felder, who is more than just a throw in in this trade. Both will be able to shine more in the Big Apple then they could have in The Land as Shump returns to New York. The Knicks will also take about just about anybody as their team is just a mess. Phil Jackson wanted Melo out of there, Phil is gone now but the Knicks haven’t ruled out a Carmelo Trade. The Knicks might get a pick as well in this trade. The Bulls clear out their veterans from their new youthful backcourt. They acquire someone to mentor the guy from Finland, Lauri Markkanen. Kevin Love will bolster their rebounding too. Lance Thomas bring some experience to the SF sport vacated by Jimmy Butler. Thomas will possibly be a mentor to the Draymond Green comparison, Denzel Valentine only because he went to Michigan State and is undersize for that spot. The Bulls can have a draft pick in this trade too why not, the Cavs are all in now not for the future they don’t need draft picks. Ah yes now to the Cavs, they have some more playmakers like LeBron wanted. They have more mature players now but less rebounding. Chemistry with all these big names will take some time just like in Miami, but that will all be smoothed out by the time The Finals roll around. The Cavs take on a lot of cash in this trade so they should be prepared to fork all that out for another run to The Finals. It was considered adding a rim protector to the Cavs in this trade but they have 7’3” Edy Tavares on the roster plus a decent chance of resigning Andrew Bougut. Would this trade happen if the Cavs had Andrew Wiggins instead of K-Love? And why do these teams want to help the Cavs anyway? Either way new GM of the Cavs Chauncey Billups just pulled off a big blockbuster deal that should bring us round four of a Cavaliers vs. Warriors Finals. Accurately predicting professional sports drafts is an incredibly tough thing to do. You have to do all the scouting and talk to all these team representatives to see what certain teams are looking for, and then you have to listen to all these rumors about who teams may or may not take. It is so difficult, in fact, that there are people who dedicate their livelihood to predicting the draft, those people are even paid quite nicely by large sports media companies. But how accurate are these people who predict professional sports drafts? ESPN’s Mel Kiper accurately predicted 4/32 first round draft picks in this years NFL draft. So why are we trusting these experts? Well they do tell us who will be drafted high and they normally get the picks close to right (off by a couple picks or so). Either way, I decided to give it a shot and do a full two round NBA mock draft going off of my knowledge, what “experts” are saying, team needs, how a player fits in a certain organization, and my own thoughts about how NBA franchises should fill their teams. ​If the Celtics were picking here I would probably say someone else. It has been widely talked about that Fultz was on the JV basketball team at his high school until his junior year and him becoming the number one player in the nation coming out of high school is some crazy accomplishment considering his JV status. But the high school he came from, DeMatha, is somewhat of a basketball power house, so not as impressive, but still impressive and I can’t really talk because he’s way better than me. Fultz will help lead the sixers, along with Ben Simmons and Joel Embiid to the playoffs next year you mark my words. The Ball family doesn’t get their wish. I'd really like Lonzo if it wasn’t for his dad. Oh well. Plus, Fox has basically dominated 1-on-1 matchups against Ball when they’ve faced each other. I guess I’m buying in to the the hype that the Lakers weren’t totally sold on Lonzo and that he was out of shape at his workout. I think I’m also drinking the 'Lonzo Ball’s shot looks funky and the Lakers don’t like it' cool-aid. The Chosen One is finally taken!!! Sacramento will basically take anyone at this point because they have nobody that good on their roster. And the front office in Sac town is probably too dumb to worry about Lonzo’s dad. But if Lonzo decides to play for the Kings, then he and Willie Cauley-Stein would be scary. The Magic are kind of in the same boat as Sacramento; they just need to add any talent they can find. Monk’s scoring and exciting athletic ability could bring more high flying fun to the city of Magic. (does anybody call it that?) Maybe just another Oladipo to add to Orlando’s back court. The T-Wolves add to their young talented core. Tatum is probably a better scorer than Andrew Wiggins which could slide Wiggins to the PF spot to make room for Tatum in the starting rotation. PG-Dunn SG-LaVine SF-Tatum PF- Wiggins C-Towns. With that lineup the T-Wolves should make the playoffs next year in the tough western conference. If The Unicorn doesn’t get traded from the Knickerbockers, then that should be another fun pick and roll combo. Don’t know much about this guy, but he’s pretty highly ranked and Dallas needs an exciting young point guard. Only 18 years old, very athletic, good defender who can shoot a little bit. Didn’t put up the greatest numbers in Europe though. So more scoring talent falls in the hands of the Kings. Very athletic, very long, very raw. A good comparison to Bismack Biyombo who was also drafted by MJ. Is there anybody else in Detroit who can even score? Well now they have someone. Could be a nice fit with the Nuggets or could be a good trade piece. A surprise to some that he came out after one year at Gonzaga. Him, Hassan Whiteside and, the best player in the world, Dion Waiters will look to pick up where they left off at the end of last season. Collins could push them over the top when his ability to score both inside and outside. Somewhat of a Chris Bosh replacement. The Trailblazers finally have their dominant big man that can push them further in the playoffs, but they still need to add a couple more pieces to be a real championship contender. Comparing him to Porzingis because you’re only allowed to compare tall European white guys to tall European white guys. The Bucks get another young, athletic, lengthy player to add to their roster. As long as Giles stays healthy he could be a big impact for them. We saw him during Michigan’s nice run during March Madness. Now that Paul George is on his way out, the Pacers need another low-key up and comer to build around like George was coming out of Fresno State. Overpowering big man with an NBA ready body. A Dwight Howard replacement with less drama. Bell stays in Oregon, Trailblazers now have two very productive big man to go with their stars in the back court. I’ve heard this guys pretty good and OKC will just add any talent they can get around Russ. The Nets will take any talent they can get. Mitchell is a pretty highly rated prospect so if he falls this far, the Nets shouldn’t think twice. A good two guard to go along with newly acquired D’Angelo Russell. The Canadian goes back to Canada. Now the Raptors have someone who can actually shoot the three ball consistently. Played in Australia last year after originally signing at SMU. Can jump out of the gym and if Gordon Hayward leaves he would be a nice developmental piece to eventually take over. Signed with Under Armour. Dropped pretty far, drafting best available, possible trade piece as Orlando is pretty deep at that spot already. I don’t know who this guy is really, but Portland is pretty good at taking a somewhat unknown guy and turning them in to a borderline super star. Portland uses their three first round picks very well. A lot was made about this guy and his massive weight loss. The Lakers just traded for Brook Lopez but they have been lacking a big guy for a while now and Swanigan can certainly help the Lakers be a playoff team next year with help from their other very talented youngsters. An LA guy returns home. Another talented young guy they can add to their core. Presumably the backup to Jordan Clarkson. Dorsey is added to a little less crowded backcourt now that Mr. Ice in his veins is gone. The Spurs could go a lot of different ways this summer. One choice they could make is to go younger. Patton could be the young big guy they don’t have as the rest of the young guys they have fill up the rest of the future starting five, this pick might move Pau Gasol out of San Antonio. The guy who played his college ball in Utah stays in Utah. Kuzma is smart, bouncy and knows his role. Utah is an ideal landing spot for Kuzma as they are ready to chase a ring. From DII player of the year to NBA draft pick. The Pelicans now have a shooter to space the floor for Anthony Davis, DeMarcus Cousins, and Jrue Holiday. A good add to the SF depth for the Suns. The Naismith Player of the Year calls an end to the Elfrid Payton era for the Magic. The Kings are filling out their roster nicely through this draft. Too bad their front office will probably screw it up some how. Basically just drafting the best player available at this point, possibly a good trade chip. The Villanova hooper gets to stay in Philly, should be a nice experienced role player for the playoff bound Sixers next year. Showed in the National Championship game that he can dominate the glass, something the Celtics desperately need. Adds some depth to their thin front count. The Sixers get some outside scoring they most certainly need with all the inside scoring they get from their big guys. Explosive big man who could eventually replace Paul Millsap. Best available when drafting for need, which almost makes sense. Either way MJ has made some strange draft choices in the past. Another Porzingis comparison because he’s white and from Europe and is about the same height. The Knicks take another point guard because Phil Jackson just doesn’t care anymore. Tall white guy, hopefully he can shoot some threes because that’s all the Rockets want to do. Beginning the list of random picks. Since the Nuggets have been pretty successful with overseas players. Philadelphia gets the player who helped lead the Gamecocks to the Final Four. Great player who could thrive from being over looked and really help Philly off the bench. Hayes finally gets the money he deserved from playing in college. Skinny, tall shooter who can help spread the floor for John Wall. Great shot blocker as well. We will see how his old school back to the basket game translates to the NBA but the Celtics have loaded up their front court. Another possible Gordon Hayward replacement. Random Europe guy since Porzingis worked out so well. Sharp shooter from Wisconsin is a steal for the Spurs. Mr. irrelevant for the NBA draft is the nation’s leading scorer. The next Isaiah Thomas? ben simmons the next lebron james? Ben Simmons was supposed to win Rookie of the year this season. He is going to win in next year, mark my words, and he will eventually win an MVP award. But all that was put on hold when Simmons injured his foot during training camp, resulting in him missing the entire season. Now if the Philadelphia 76ers were in the playoff hunt Simmons would have come back and played this year. But the 76ers fell out of playoff contention after Joel Embiid got hurt again, which enabled the tanking to again commence for the Sixers. A far different first season in the league than LeBron James had. During LeBron’s rookie season in 2003-2004 he played in 79 games averaging 20.9 points, 5.5 boards, 5.9 assists, and 1.6 steals a game. Simmons averaged 15 claps, 25 high fives, one sport coat, and one cat raising a game his rookie season. LeBron’s rookie season was the one year he was not an All-Star. Simmons was also not an All-Star this rookie season. That is the only thing they have in common so far during their NBA careers besides the fact that they were both selected with the 1st pick in their respective drafts. But Simmons still has the potential of a volcano. Simmons has shown that he has the ability to take over games like LeBron can do. Simmons can handle the ball just as well as James can, in fact the Sixers plan to have Simmons be the starting point guard when he returns to action. Ben Simmons is a point guard, a 6-10, rumored to be closer to 7 foot, point guard. LeBron is a point guard, although he is every other position as well. LeBron can not only play all five positions but but guard all five positions. Something that Simmons has not quite shown yet. He does have the speed and agility to do so though. Simmons’ strength is a work in progress not to say that he’s a skinny as some of the rookies coming in to the league but he can always grow in the area. Simmons was big physically in high school and college now he’s just above average height in the NBA. The question about Simmons has always been his scoring outside of layups and dunks. That is something that Simmons didn’t need to develop in the lower ranks because he could just out physical everybody, but if he wants to be an elite PG in this game he cannot be a shooting liability. A Ben Simmons shot chart from college peaks right around the rim and lessens as you go further out. He only attempted three shots from beyond the arc in college. We’ve seen LeBron slowly improve his three-point percentage each year since he’s been in the league, he also attempts about two more three pointers now compared to his first season. LeBron has improved his shooting percentage every year as well, this season he was about 15% better from the field compared to his rookie season. These two come from completely different backgrounds, but they’ve grown in to a similar type of player. Taller and stronger than most who can over power any game. Simmons might still need to learn how to do that but he definitely has the potential to do so. Both can dominate with their size and skill, along with that their ability to make plays for others and distribute the ball willingly make these two comparable. If Simmons can develop an outside shot, he could actually be the next LeBron James. Until then it looks like he’s going to be a pass first super tall point guard that can be over powering for opponents at times.